Brandon Greenstein is the Sustainability Coach & Consultant, offering one-on-one education, outreach, and support to the full range of OGS constituents (Farmers, Home-Growers, Healthy Consumers, and those interested in Sustainable Living) through year-round coaching and consulting.. His background is in Renewable Systems, Earth Works, Energy, Water, Homesteading, Permaculture, specifically providing consulting, design, and technical services for the creation of low impact and energy conserving systems through his company, Integrated Ecological Solutions. He has lived in community for 20 years, 15 of them at Earthaven Ecovillage in the Western North Carolina mountains, where he co-managed the Forestry Cooperative, practiced responsible living in a permaculture context, and even ran an underground pub. 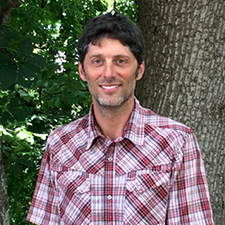 Brandon works with chainsaws, hand tools, heavy equipment, construction projects, water systems, and most everything having to do with the practicalities of ecological design. Brandon currently lives on a small, hand build, off-grid homestead enjoying gardening, parenting and philosophizing about existence and how to optimize it. Brandon joined OGS in 2016. Tour Highlights: Rural land planning, sloped, steep cove and south facing site designing, forestry planning, starting from scratch with big dreams. Four acres directly next to seven acres of family land, Luke and Macon dream of organic permaculture gardening, water catchment systems, waste reclamation systems, a fruit orchard, bees, chickens, perhaps dairy goats, medicinal herbs, mushrooms – all while sharing the joy with their friends and community for fellowship and education. Aside from building a quick compost bin and working on building soil, they have a total blank slate. The land is a steep Appalachian cove forest, with the exception of a small front lawn and a larger south-facing sunny cleared area with plenty of summer sun. Tour Highlights: Spacious suburban/rural interface, site design, infrastructure development, sustainable forestry, garden, orchard, and livestock planning. 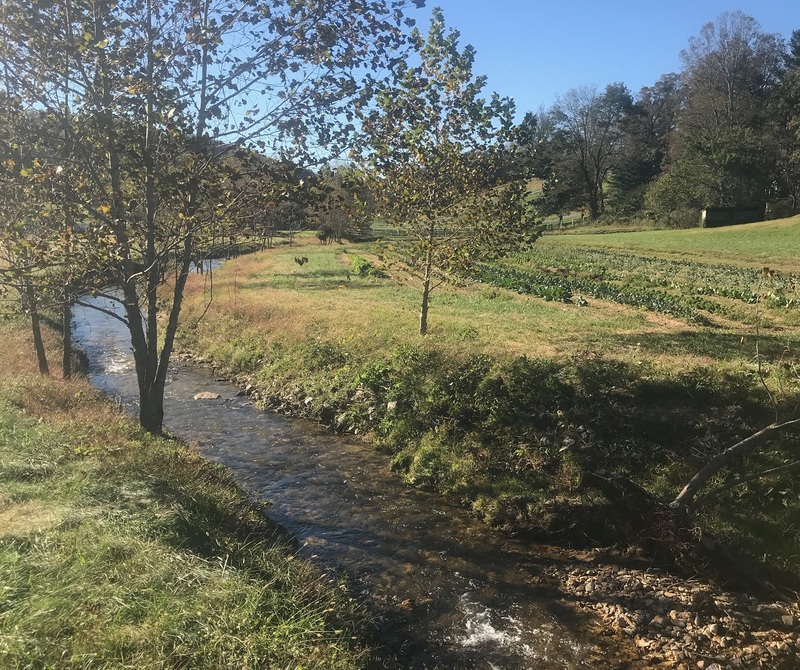 Yesod Farm+Kitchen is an emergent teaching farm and community space in Fairview, North Carolina, dedicated to the multi-generational work of collective liberation with the land. Yesod Farm+Kitchen rests on twelve acres of Tsalagi ancestral homeland, twenty minutes from downtown Asheville. Yesod, “foundation” in Hebrew, is the place in Jewish mysticism where energies gather and creation emerges. 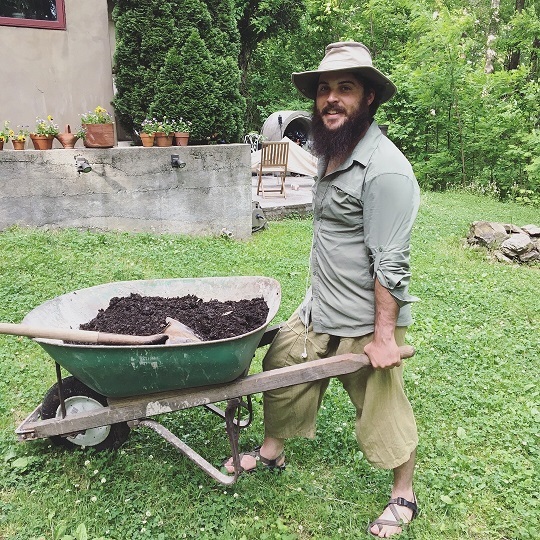 Yesod seeks to be a place of relationship building across difference, of earth-based Jewish living, and for preparing the next generation of regenerative farmers to launch their own land-based projects. 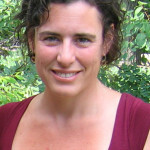 Yesod is also home to the Jewish Farmer Network, a grassroots nonprofit that connects Jewish farmers to resources and community around the world. Tour Highlights: Suburban homestead design, gardens, orchards, permaculture site planning, water systems. Ellen Rubenstein Chelmis has been living on her ¾ acre homestead in Woodfin, NC for 20 years and is extremely passionate about growing food. So much so she is not shy about using her front yard to show off to her neighbors all that is possible. 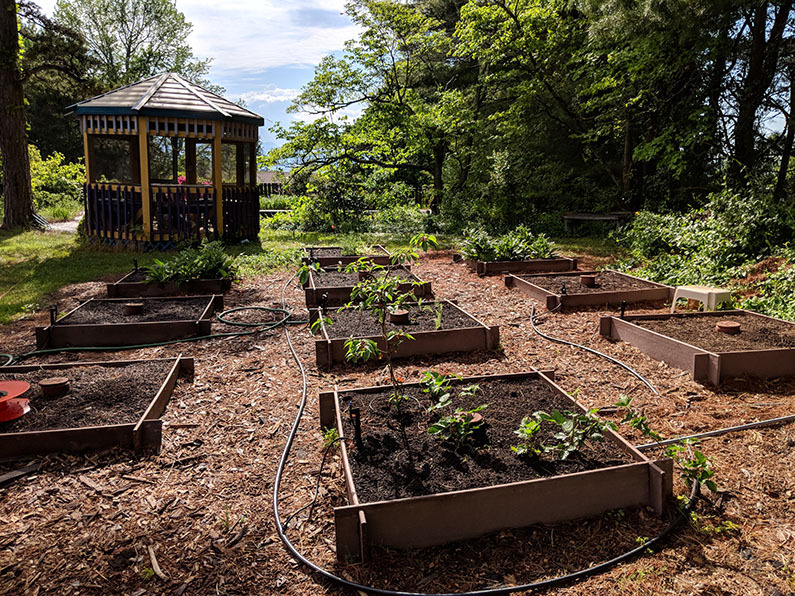 Over the years Ellen has implemented a baby permaculture forest, orchard, berms and swales, 20 4×4 raised beds, water catchment, and solar panels. She is excited to talk with Brandon about cover cropping, succession planting, low maintenance techniques for grass to garden conversion, and even future possibilities for an unused inground pool. Tour Highlights: Long-standing urban project, damage mitigation and remediation, small-scale agriculture enterprise development, community-based project planning, land and site design. 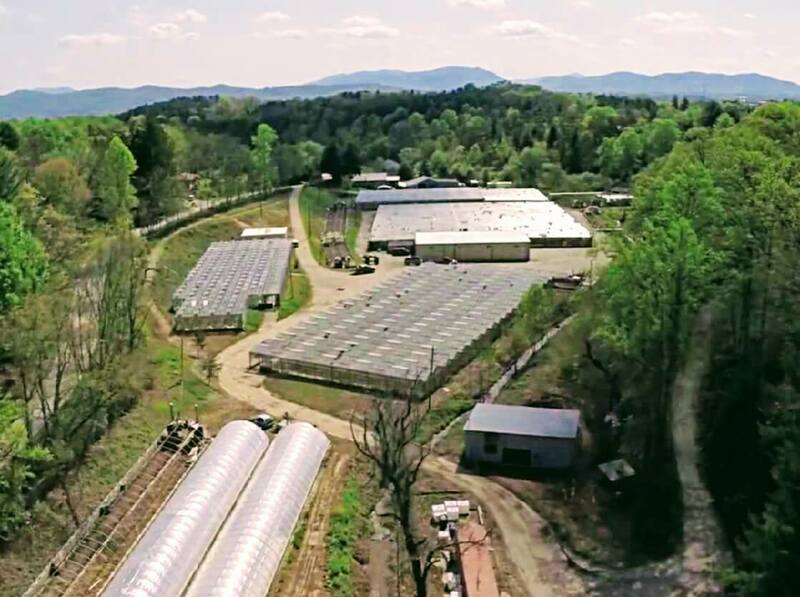 Smith Mill Works, located on 28 acres at the base of Spivey Mountain in West Asheville, offers 5 acres of indoor growing spaces, 20,000 sq. ft. mixed use warehousing, manufacturing and other office/studio spaces for rent. Housing a collaborative community of creative entrepreneurs, including multiple growers, manufacturers and service providers dedicated to local sustainable business, Smith Mill Works provides the space for those who mindfully generate goods and services in consideration of humans and the planet. If you have any questions about this program, please contact Alix Johnson, Sustainability Consulting Intern, at hgpintern@organicgrowersschool.org.